Hello to all members! We are here to promote an idea of Electric Vehicles in which we strongly believe. The trend towards this awsome technology is very strong these days. New EV models are coming to the market soon. The world of vehicles is changing day by day. Hope to have good questions and answers in this forum. Esarj electric vehicle normal charging station line has been developed and designed for conductive battery charging of the electric vehicle or plug-in hybrid electric vehicles on board batteries at public access charging spots. It’s also usual to call it as Slow Chargers, but that name comes only as opposed to the Quick Chargers performances. The Normal Charge is when the power and voltage are the ones available in a household or any low voltage installation. 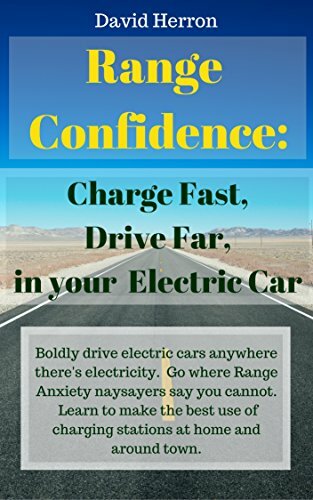 For an ordinary electric vehicle, it is usually enough to fully recharge the electric vehicle battery from minimum to maximum in a time, that depending on the electric vehicle, is usually less than 8 hours. At private places any Esarj Home Charger model from our product line can replace a Normal Charger. It has similar charging rates of a single phase Normal Charger but with reduced management features. Eşarj electric vehicle charging station is compliant with EN/IEC 61851 and has CE mark, meeting the European and Turkish Directives for safety and EMC requirements. For better understanding of electric vehicle Charging modes please consult the EN/IEC 61851-1 related section. The Esarj electric vehicle Normal Charger was primarily designed and developed as Mode 2, for 1st phase. Currently it has been upgraded to mode 3 operations. The Eşarj electric vehicle charging station performing in Mode 3, Case C has attached an output power cord. At standby the power cord plug is coupled to a socket in the charger bay. There is no locking door and the plug is free to be removed. The charger has a color warning light, which shows its own operation status. An alternative design in Mode 3 operation is the use of an output socket replacing the attached power cord. The plugs or sockets are available with the J1772 or the Mennekes format. Each Eşarj electric vehicle charging station is integrated in the Charging Infrastructure Network and the Central Management System controls its operation and status. If a charger is offline, user can still operate it although some functions cannot be accessible. Even in a power shutdown, emergency will release electric vehicle’s charging cord only to the identified user. Each user has its own Eşarj Membership Card that allows him to use the public charging infrastructure anywhere. By default, the contactless card data model is the Calypso standard but other standards can be adopted. The architecture of Eşarj electric vehicle charging station is highly scalable because single Central Command Unit controls the operation of up to 254 Power Satellite sockets. In the most usual design, each Power Satellite can hold up two independent outputs. Versions with different number can be built to meet customer needs. Mode 2 Charging, case B – specific to power cords supplied with electric vehicle, by default the charger?output is currently equipped with IEC 60309. Mode 3 Charging, case B – J1772 or Mennekes outlet socket. Any other available on request. Mode 3 Charging, case C – power cord charger attached with J1772 or Mennekes plug. Any other available on request. Activity log for all operations and occurrences. All the Central Command Units are connected to a private network provided by a telecom provider for data communication. In most cases it will be done via GPRS. Chargers perform energy supply metering for system control and customer billing with options to use different prices from different utilities and different rates during the day. It is possible to shutdown each Normal Charger for any reason like grid shedding, failure or safety. Owning local data storage capability, the electric vehicle charging station remains operational in offline mode, allowing stand-alone operation, letting future system server synchronization. Remote and local emergency charge stopping are always possible even when the user lose his mobility card. The available services in offline mode can be configured for each application. Communications with central system server. The Esarj Chargers are fully integrated in smart grid systems, allowing the electricity utility to act on the charging real time, for load management. In the future, the grid will be capable of bi-directionality. It depends on the smart grid technology development, standard definitions and the electric vehicle features. The Eşarj Normal Charger can be upgraded to get “vehicle-to-grid” feature. Using your own contactless Mobility Charging Card, User logins the system and requests for charging at the Power Satellite assigned to the parking place. A PIN number is asked for user identification (optional). After system authorization, in Mode 3 charging the output plug is always de-energized unless coupled to the electric vehicle. The charging process starts after closing it. The color of the status warning light indicates charging. On any failure in the process, the charger shutdowns the power and the warning light changes its color to emergency. In Mode 3, User simply removes the plug from the electric vehicle and couples it to the charger bay. In Mode 3, the plug is always de-energized unless coupled to the electric vehicle. Mode 3 charging avoids the use of Mode 2 cable because the station performs the in-cable control box functions: continuous protective earth conductor integrity checking and electric vehicle proper connection verification. Mode 3, following an indication from the charging station, controls the charging current rate. All the protections have automatic reset, with the exception of the circuit breakers (over current and RCD), which must be done by the charging operator, for safety reasons. The Esarj charging station status is transmitted to the Network Management System. Alerts and warnings are provided on case of fault and the charging operator is notified.